What’s the Price for the 2019 Kia Sorento EX V6 FWD? How Many MPG Does the 2019 Kia Sorento EX V6 FWD Get? What’s New for the 2019 Kia Sorento EX V6 FWD? 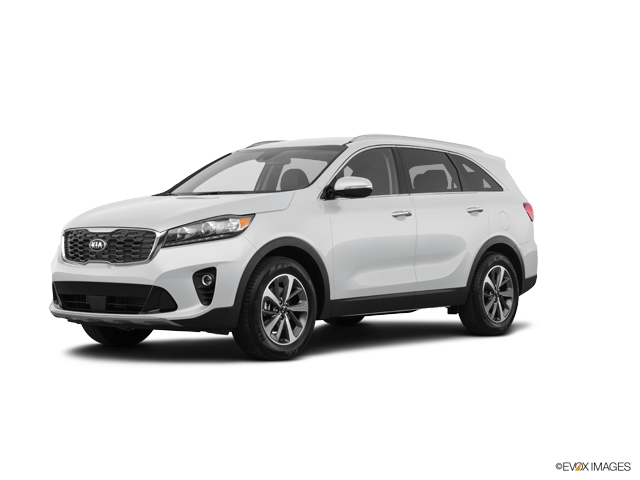 The KIA Sorento is a popular mid-size crossover SUV that offers a lot of bang for your buck. It was first introduced to the U.S. market in 2002 and has since become a staple on roads across the country. The crossover is still in its third generation, which started in 2016. However, KIA has introduced many subtle upgrades to the new 2019 build. The EX V6 FWD model is ideal for drivers looking for more power. This particular trim level has been updated with some new features that can enhance the driving experience. These upgrades are catered to modern drivers and help to further cement the crossover’s reputation for style, performance, and value. The KIA Sorento EX V6 FWD comes with a robust engine. It utilizes a 3.3-liter V6 that has 24 valves. In total, it can produce upwards of 290 horsepower and 252 pound-foot of torque. It also has direct-injection technology and dual continuously variable valve timing for improved power and better fuel efficiency. With the standard forward-wheel-drive option, drivers can expect to get up to 19 MPG in the city and 26 MPG on the highway. When it comes to towing power, the KIA Sorento EX V6 FWD is capable of hauling up to 3,500 pounds. One notable change for the 2019 model is the transmission. The new build comes with an electronically controlled eight-speed automatic transmission. The addition of two extra gears will provide drivers with a more dynamic experience on the road. The exterior of the 2019 Sorento has minor tweaks. The front-end features a new lighting arrangement. The standard LED positioning lights on the EX V6 are now located below the projector headlamps. Slight changes to the grille and air dam round off the modern design to complement the Sorento’s sporty look. High-tech features are also included on the EX V6 models. A smart-powered liftgate comes standard. It can be programmed to different opening heights based on the driver’s personal preference. The Smart Welcome feature is also included. Various lights around the EX V6’s exterior will illuminate when drivers approach with the Smart Key to improve visibility and comfort. Inside, KIA is now offering third-row seating as a standard feature. The Sorento is capable of transporting up to seven people comfortably. As always, the leather seats in the EX V6 can be folded down to meet changing cargo and passenger needs. With all of the rear seats folded, the EX V6 model offers 73 cubic feet of cargo space for all the essentials. When it comes to the infotainment center, KIA does not disappoint. The Sorento EX V6 uses a 7-inch touch screen with UVO eservices. It has an intuitive user interface and is compatible with Apple CarPlay and Android Auto so that drivers can stay connected. This particular model also comes with a number of standard active safety features. In addition to a rear camera display, drivers can take advantage of the rear cross-traffic alert system and blind spot monitoring system to keep an eye on their surroundings. Forward collision avoidance, lane-keeping assist, and driver attention warnings are also included to provide assistance on the road. 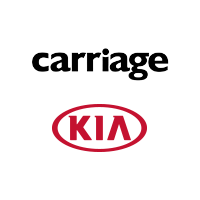 To learn more about the 2019 KIA Sorento EX V6 FWD, stop by Carriage KIA of Woodstock. Our team is ready to assist you with all your automotive needs. We’re committed to your satisfaction and will do all we can to help you find a vehicle that you’ll love. We’re excited to give you a grand tour of the Sorento and set you up for a test drive so that you can see all of the great features this crossover SUV has to offer. * Estimated total price and lease/purchase monthly payments are manufacturer’s suggested retail price (MSRP), based on trim, colors, packages, and options chosen and are for example purposes only. This calculation reflects amounts in U.S. dollars rounded to the nearest whole dollar. Your monthly payment, down payment, rebate, and vehicle price may vary. Tax, license, title, insurance fees, destination and handling charges are not included. Dealer price may vary. See dealer for details.